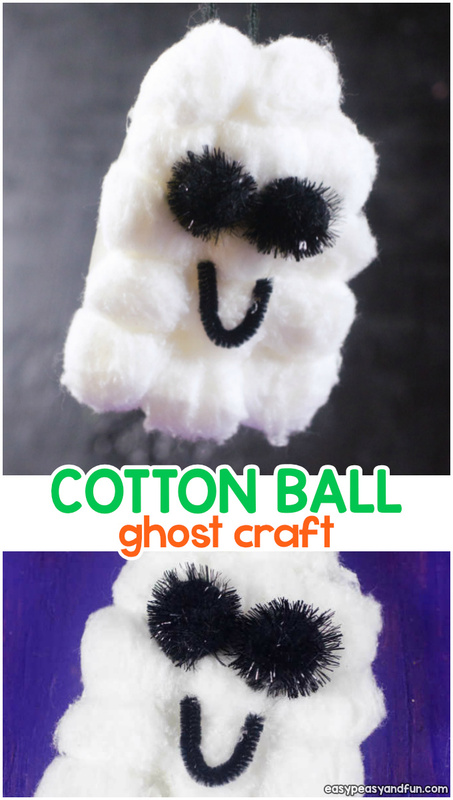 This cotton ball ghost craft for kids will scare away any fear of ghosts! Who could be afraid of soft and fluffy ghosts, right? 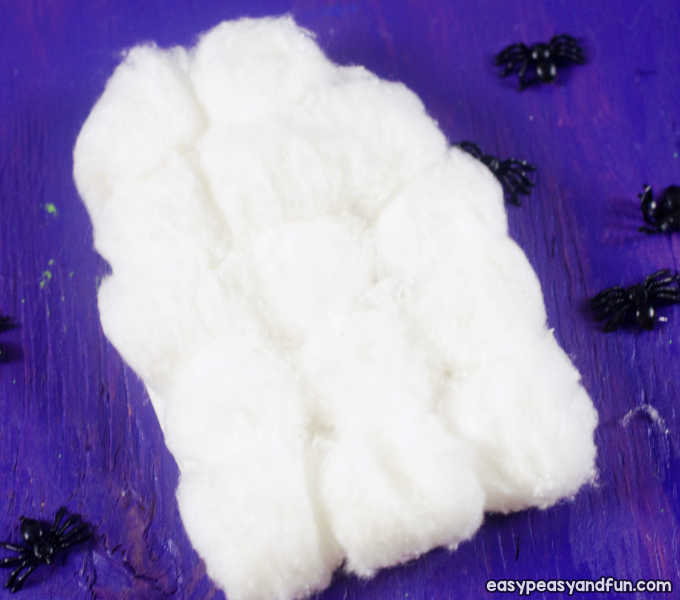 This ghost craft is perfect to make in the classroom, as you can make a fun, fluffy looking Halloween garland out of it. Need more Halloween inspirations? 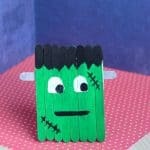 Browse more of our Halloween art and craft ideas for kids. 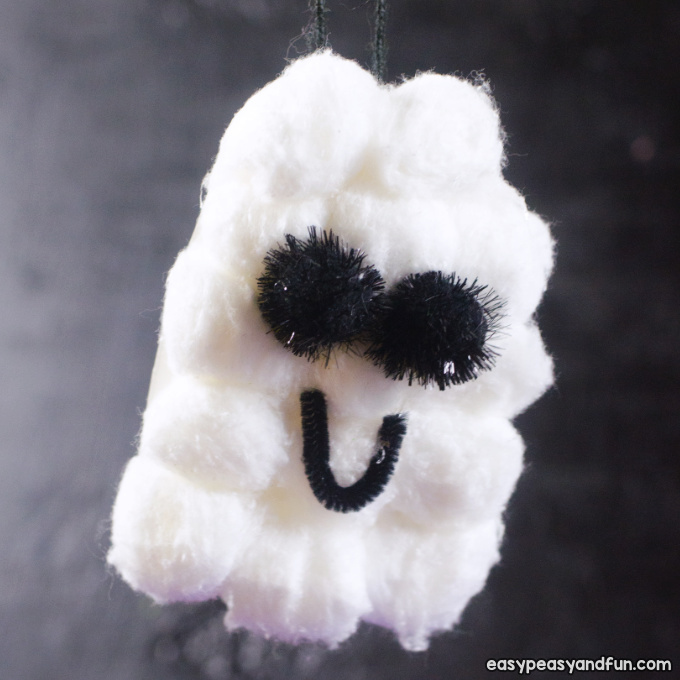 This cotton ball ghost craft is geared towards younger kids so it’s a fun project for kids in kindergarten to make, as well as preschoolers with some assistance. 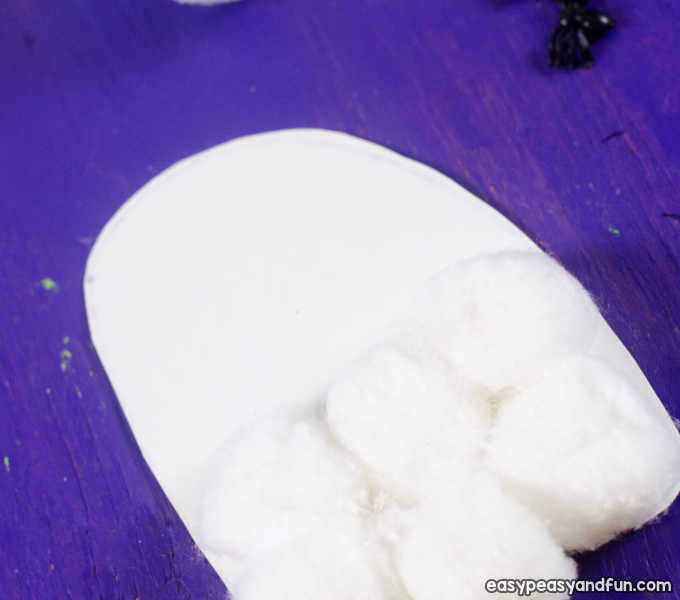 Draw a ghost shape on cardboard or on paper plate. 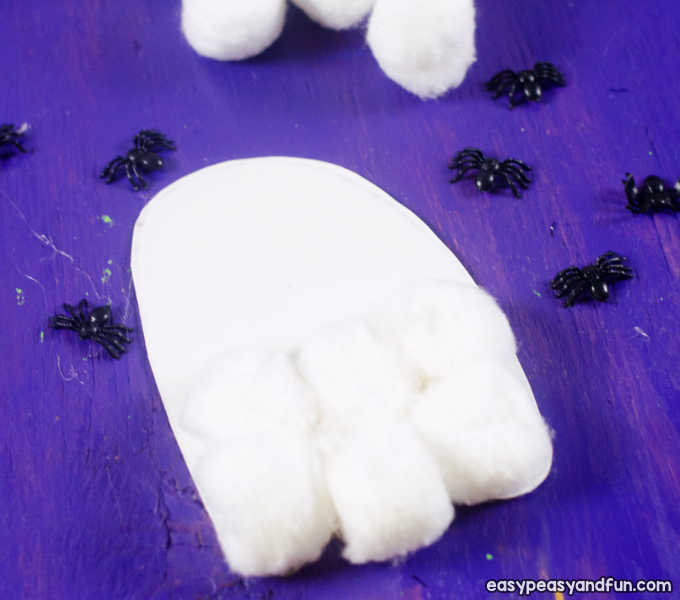 If making this Halloween activity with younger kids, you prepare this step. 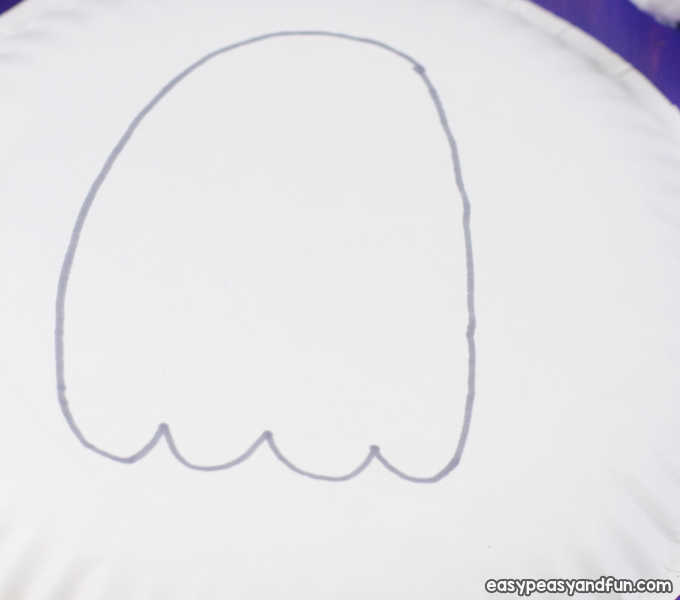 Older kids can draw their own ghost. 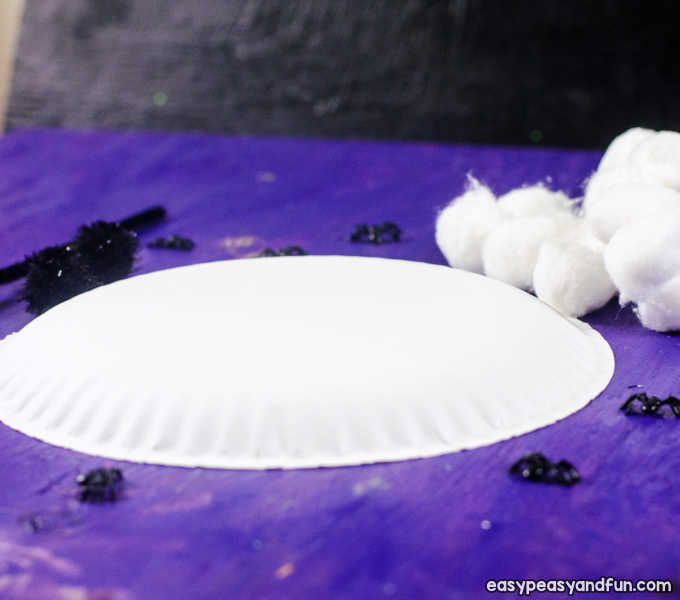 Cut out the ghost shape out of cardstock or paper plate. 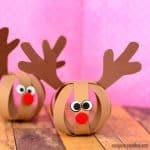 Apply a generous amount of glue (white school glue works great) on a small area and stick on a cotton ball. 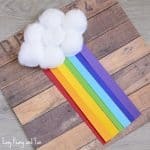 Apply more glue and add another cotton ball. 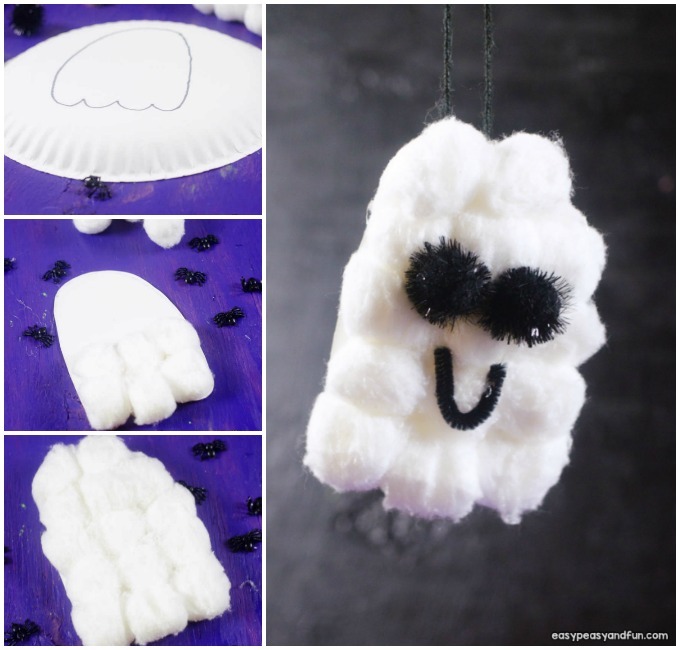 Continue until the whole paper plate or cardstock ghost shaped surface is covered with cotton balls. 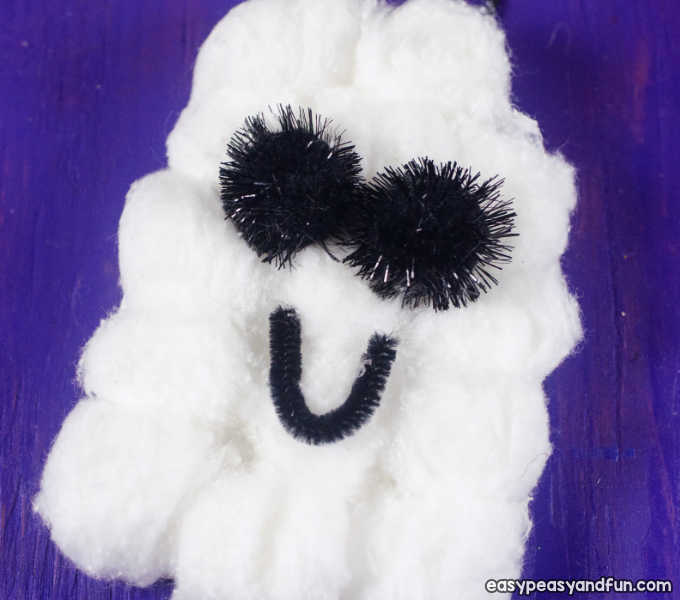 Add a generous amount of glue on a black pom pom and stick it on the cotton ball ghost. 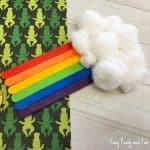 Repeat with another black pom pom. 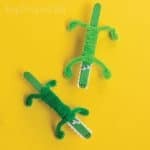 Cut a small piece of black pipe cleaner, bend it into a U shape and apply glue. Stick on to the ghost. Alternatively you can also use black paper. 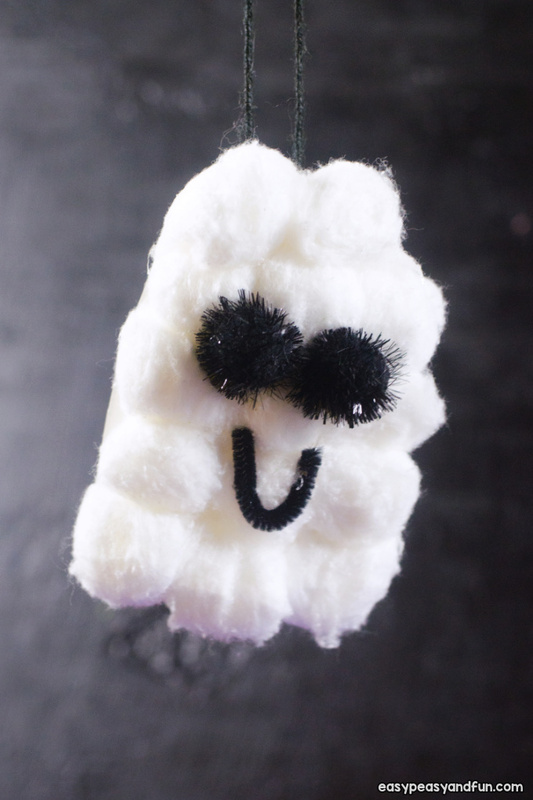 All done your cotton ball ghost craft is complete.